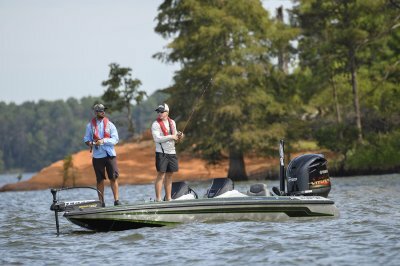 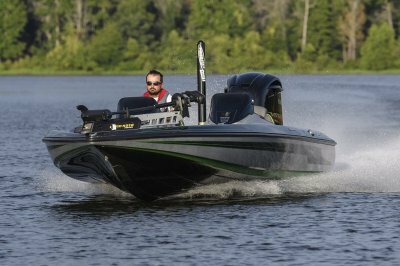 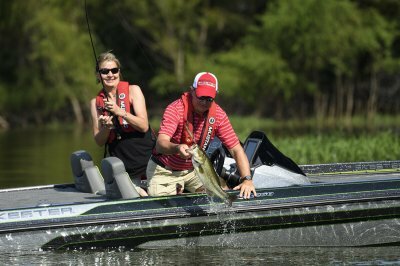 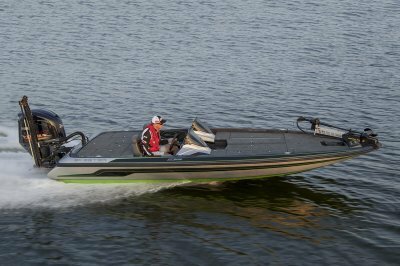 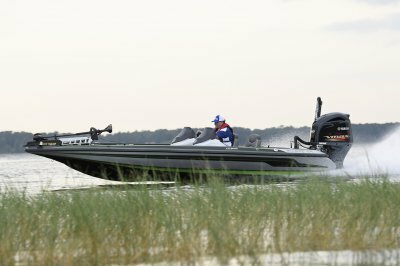 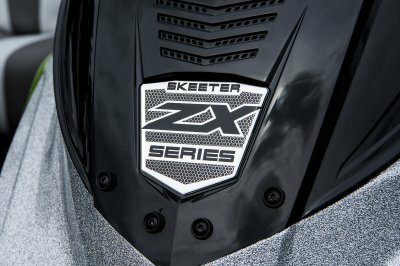 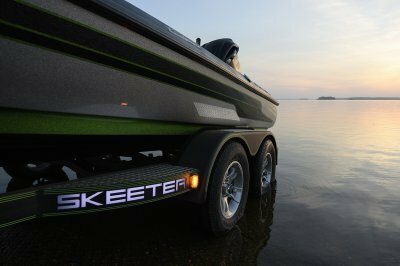 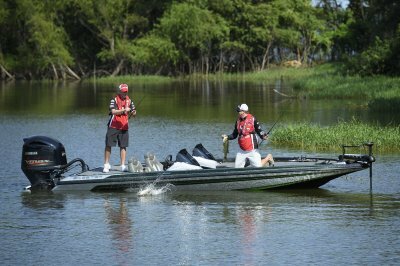 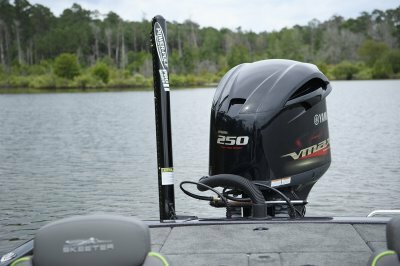 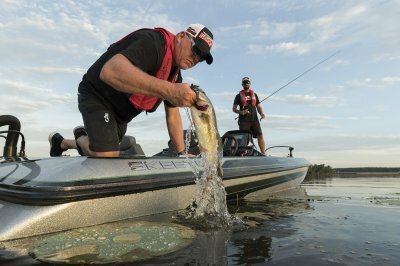 An aggressive stance with increased horsepower to back it up makes the Skeeter ZX 250 an intimidator on tournament day. 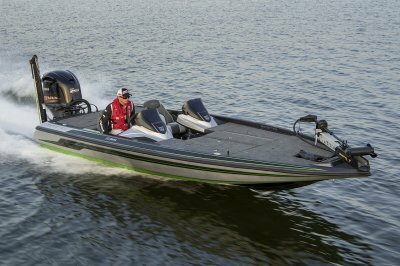 With all the features professional anglers need and all the luxury they want, the only thing this boat requires is a serious fisherman who’s ready to take charge. 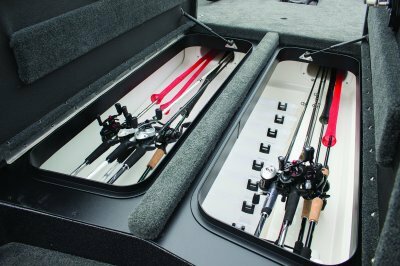 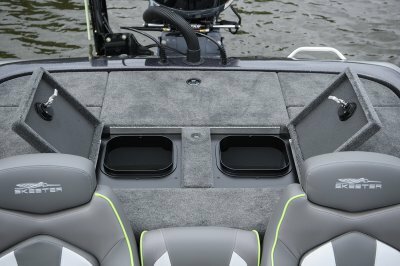 The ZX250 & ZX225 now offers the Team Advantage deck layout that provides twin center rod storage boxes with Mega Rod Tubes, twin day boxes port and starboard, and tackle storage built into outside boxes with Mega Rod Tubes and (9) 3700 Plano® storage boxes. 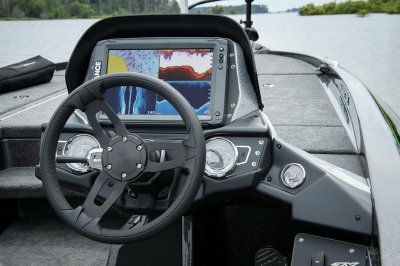 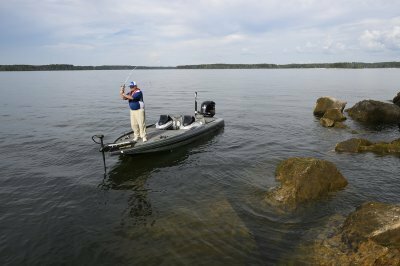 Some of the great components on the ZX250 & ZX225 Lowrance® HDS Elite TI fishing graphs, 8 Pro Series II Power-Pole®, Minn Kota® Fortrex® trolling motor; dual axle trailer with Tuff Coat on the fenders, axle and bow stop, plus a swing away tongue. 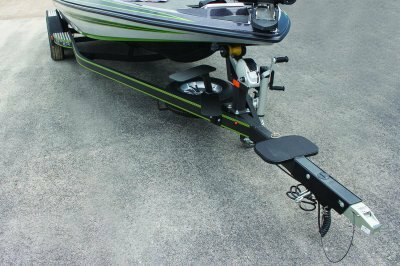 The trailer also includes a� Fulton® jack stand.